Imagine holding a monarch butterfly in your hand At this fun event, author/educator Carol Pasternak, aka The Monarch Crusader, will teach you what you need how to raise your own monarchs and delight with details of this incredible insect's life cycle from egg to butterfly. Suitable for school-age children and adults. Registration is required and will begin on August 2nd. 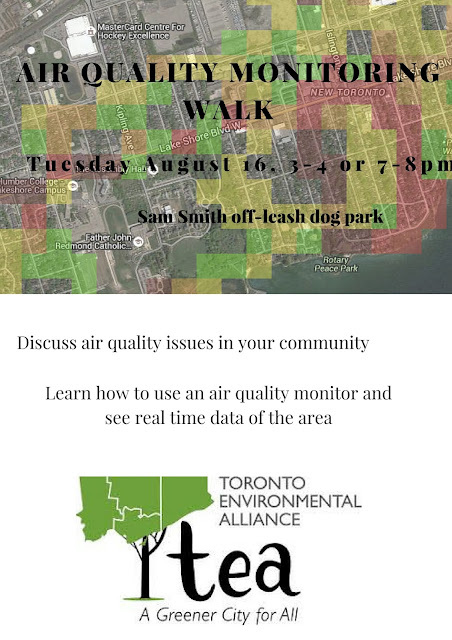 With the help of volunteers from the community, the Toronto Environmental Alliance recently collected ground-level air quality data using mobile air quality monitors in Sam Smith Park and along the nearby lake windows. All of the data they collected is now available on their website. TEA is now looking to engage the community to talk about solutions that can help improve air quality. 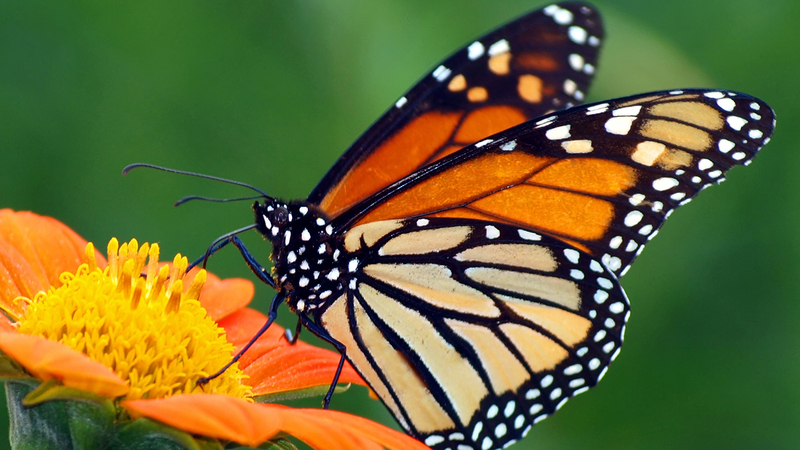 If you have a moment, please complete a short survey and share your ideas and priorities for the community. This will help them focus on the issues that matter to you the most. Click here for more information on TEA's "INHALE" project. 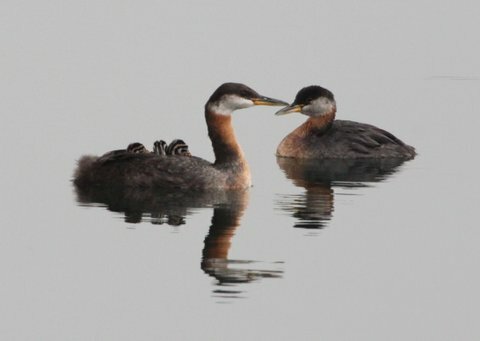 The Toronto Environmental Alliance is excited to announce that there are opportunities to get involved with the "INHALE"
TEA has hired two Community Outreach Coordinators, Katie and Monica, who are working to engage the community on the project. Join Katie and Monica for an INHALE training on Tuesday August 16th in Sam Smith Park. This is your chance to learn how to use one of their air quality monitors and to see real time air quality data. 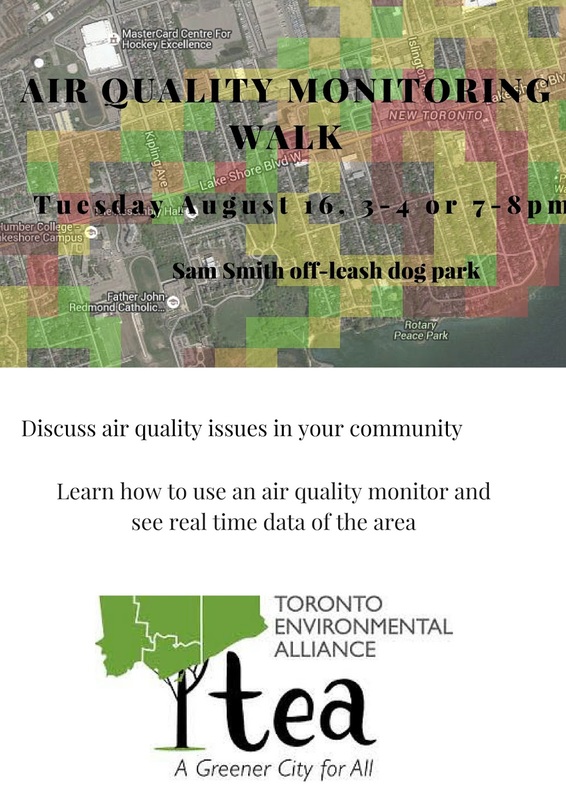 You can also connect with other community members who are interested in air quality and share your ideas on how we can improve the air quality in the community. We will be meeting in the Sam Smith off-leash dog park for our trainings. Once you sign up, TEA's INHALE team will be in touch with more details for the training. 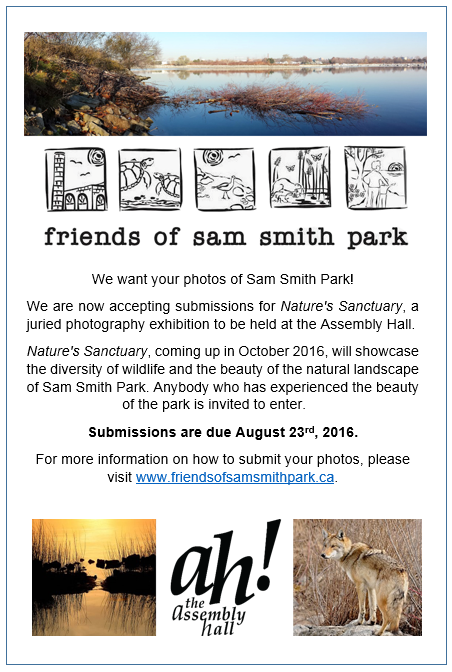 PHOTO EXHIBIT ENTRY DEADLINE AUGUST 23RD - PLEASE SHARE. Help us spread the exciting news. FOSS needs your help. Please spread the word to all your email and social media contacts. The deadline for entries is AUG 23, 2016.